Tyler Tool was founded in 1963 in Tylertown, Mississippi and was known for service, quality and integrity in business. 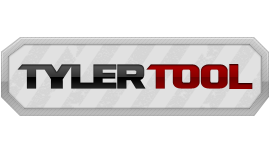 In the late 90's, Tyler Tool expanded its business to the Internet and launched Tylertool.com, which became a leading website of quality tools, equipment and more. In 2011, the website TylerTool.com was purchased by CPO Commerce, which is committed to running the site to its core values: commitment to you, our friend, passion in what we help you to do and the opportunity to help you get back to doing what's important to you. Values - These are the values we live by, because we aren't just anyone, we're your friend. Commitment – We’re committed to giving you, fast shipping, great brands, and of course great service. Passion – We take passion into everything we do. From working with you to get the right tool for the job to working with our vendor to get you a great deal for that tool for the job. Opportunity – When we see an opportunity to better serve you, we take it. Rather it is updating tool details to provide you the best information on the web to switching your table saw to the promo saw so you get the free. 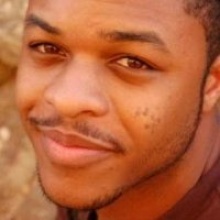 Tone – The tone for the site (brand) is that we are your friend; we listen, care and react to situations in real time. We know you’re troubles, we’re always glad you came and we know your name. Website/Emails – Instead of saying Clearance we say "Yard Sale" "Attic Clearing" "Garage Cleaing"
images that show finished projects/projects with friends/family. Emails - Provide people with project ideas or solutions to problems and feature the tool for the job (removing the thought of what should I do with this and making it what I want to do with this).